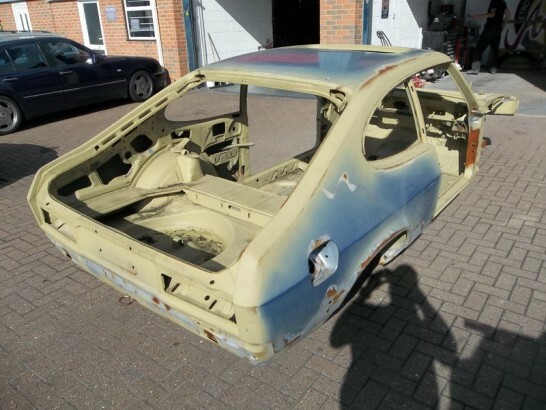 This 2.8 injection restoration has come to us to us to be completed after the owner lost faith in the company that he originally commisioned to restore it, the Capri arrived already stripped, blasted and etch primed and as 20 year old Capri’s go its has the usual corrosion issues. 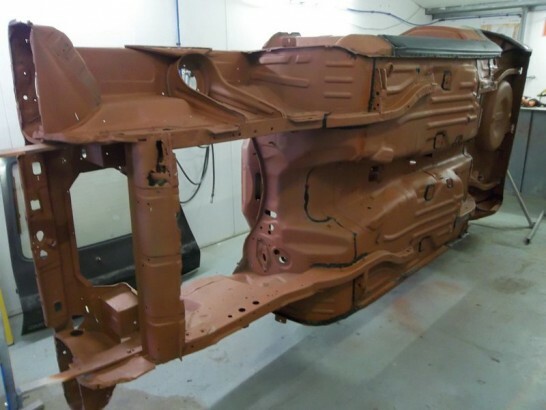 Unfortunatly after being blasted and etch primed the shell has sat outside and been left to the elements and as a consequence rust has crept under the the sealer, sound proofing pads and in in some places the etch primer. 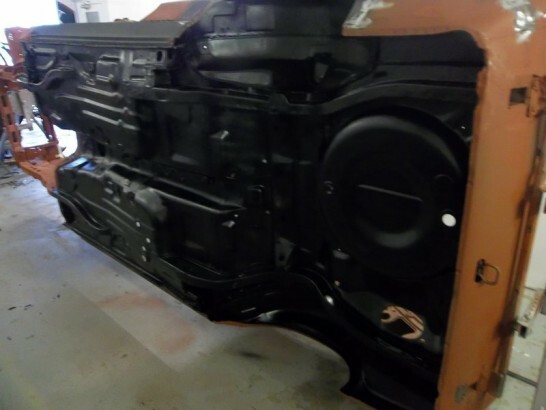 The shell has now been stripped of all the sealer and sound proofing and shipped off to Neal at GBS blasting to get the shell rust free again. 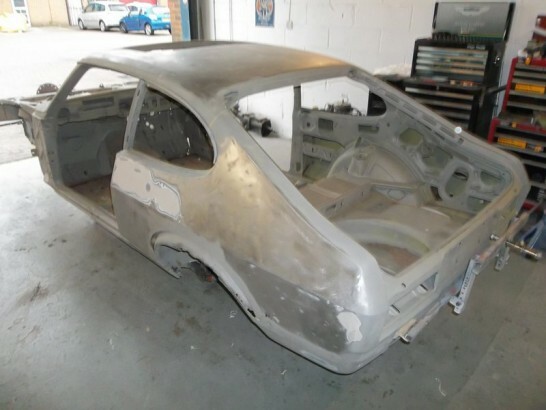 The rust free shell capri back from blasting will now be treated to a coating of zinc primer to prevent any oxidisation of the steel whilst the fabrication is under way. 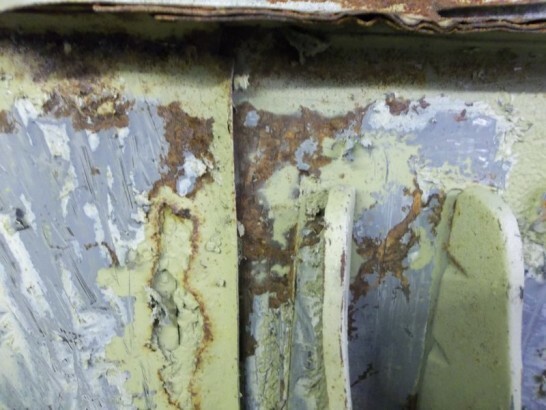 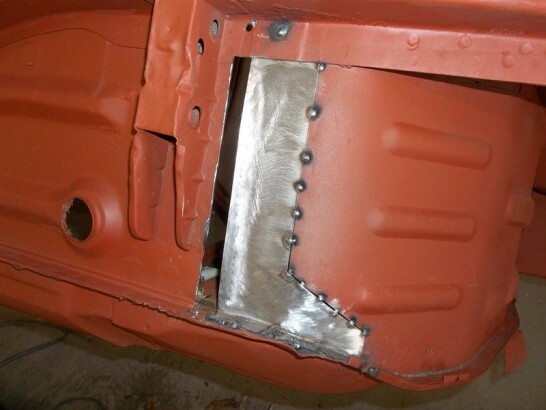 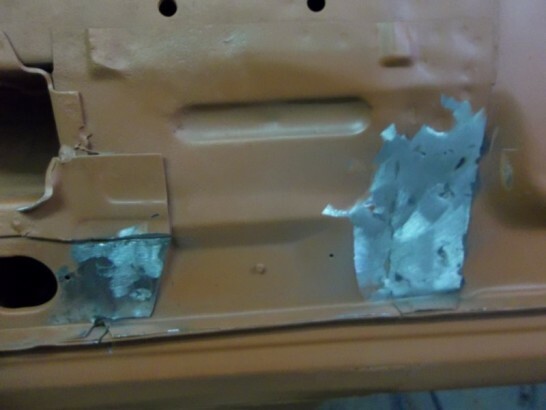 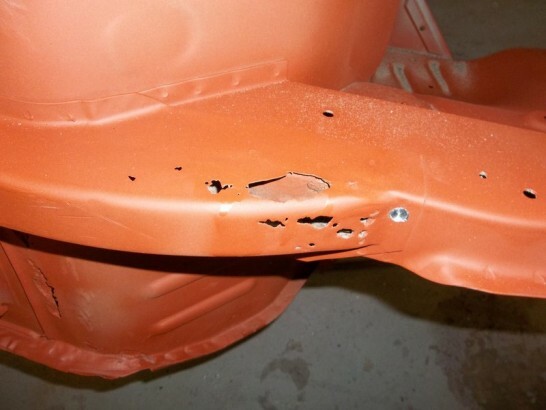 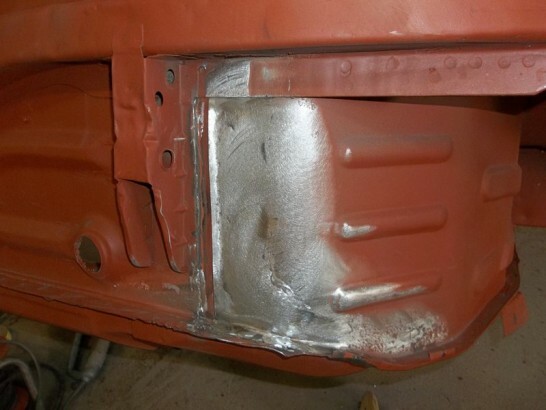 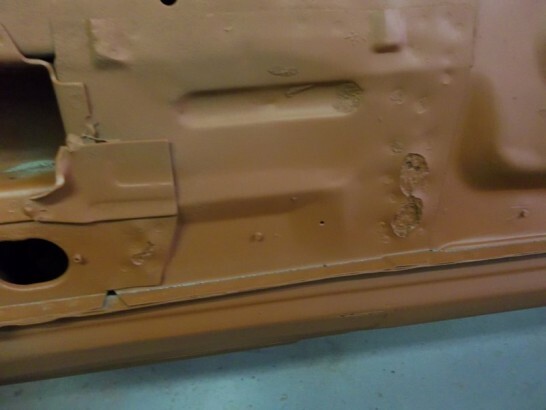 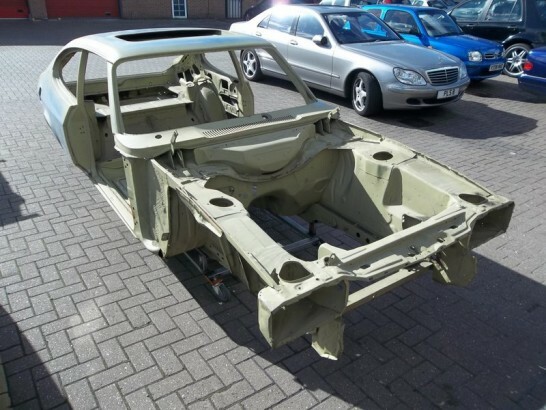 The Capri is suffering from quite a few small corrosion spots in various parts of the underside of the body, each affected area has the corrosion cut out and treated before new steel was welded in to place and ground smooth. 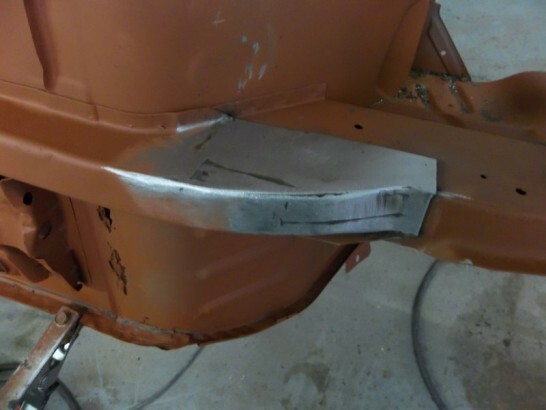 Both the 2.8 injections footwells have the usual rust issues where the floor meets the bulkhead so the affected areas were removed and some new sections fabricated and grafted in to match the original sections. 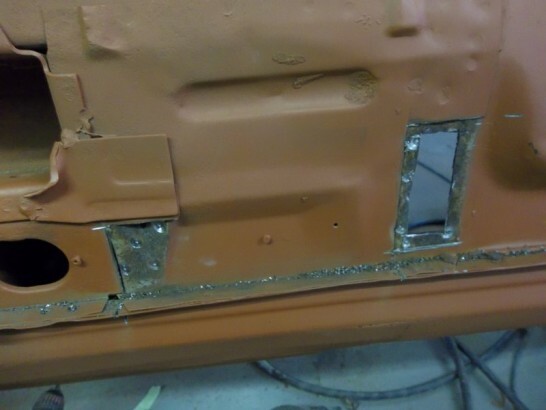 Both the n/s and o/s sills had started to perforate so these were removed and the inner sills cleaned and treated in preperation for new patern sills to be fitted. 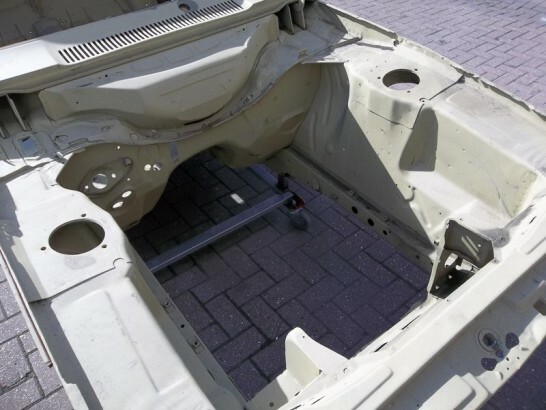 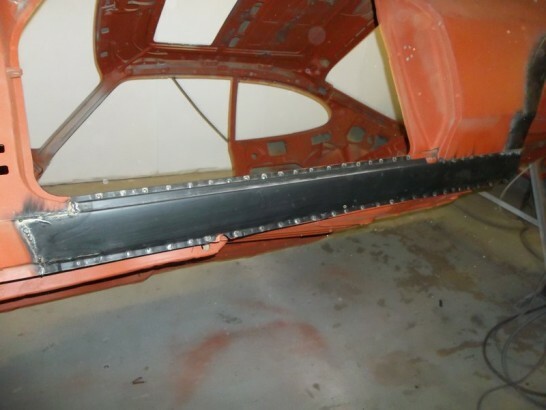 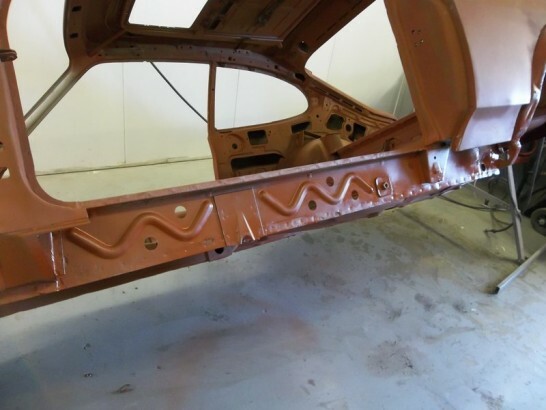 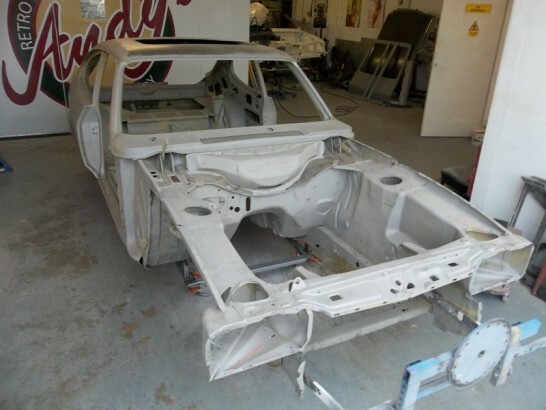 With all the chassis and floor repairs on the Capri completed the seams were sealed and the underside was coated with a thick coating of body Shutz.